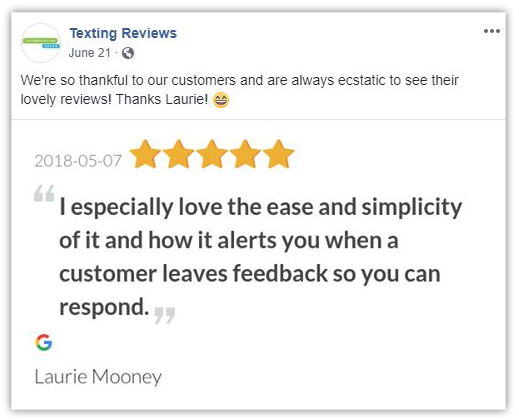 TextingReviews helps you request, monitor, and share online customer reviews. Watch your business reputation shine brighter and brighter. 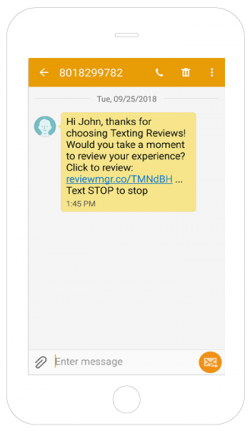 Send review requests via email or text message. If they forget to respond, the request is automatically resent. See where your reviews are coming from, and how good they are. Post especially good reviews on social media with a single click. Sharing the love has never been so easy. 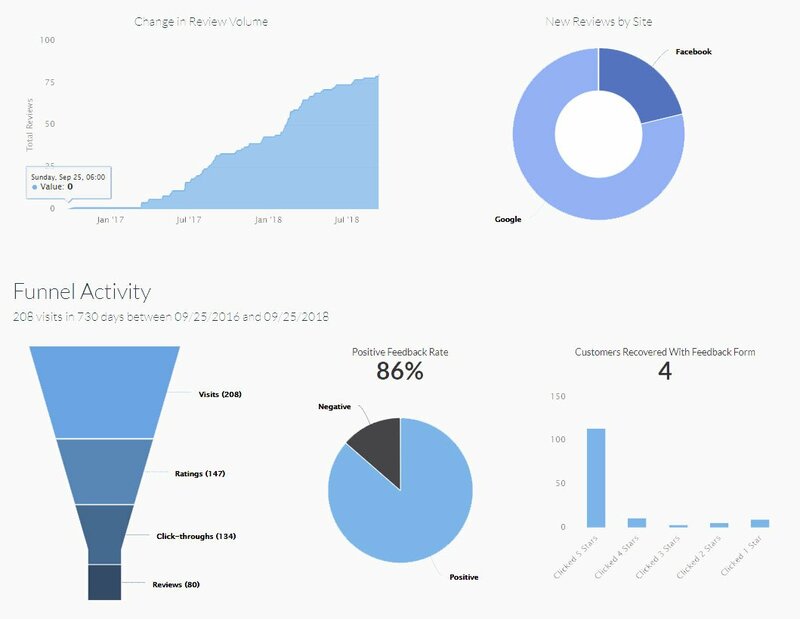 Showcase all your reviews in a single website widget. List widget and auto-scroll widgets are available. 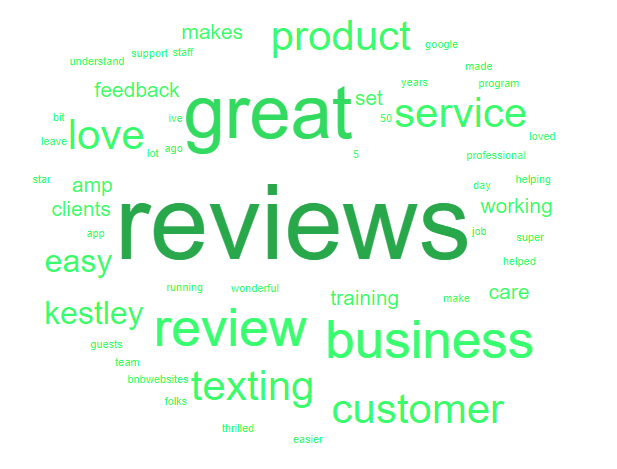 Word cloud displays the most common words used in your reviews. The larger the word, the more often it's used. "... even a one-star increase on your business's online rating helps boost sales by 5 - 9%!" "... up to 88% of people now consider reviews when buying something online."